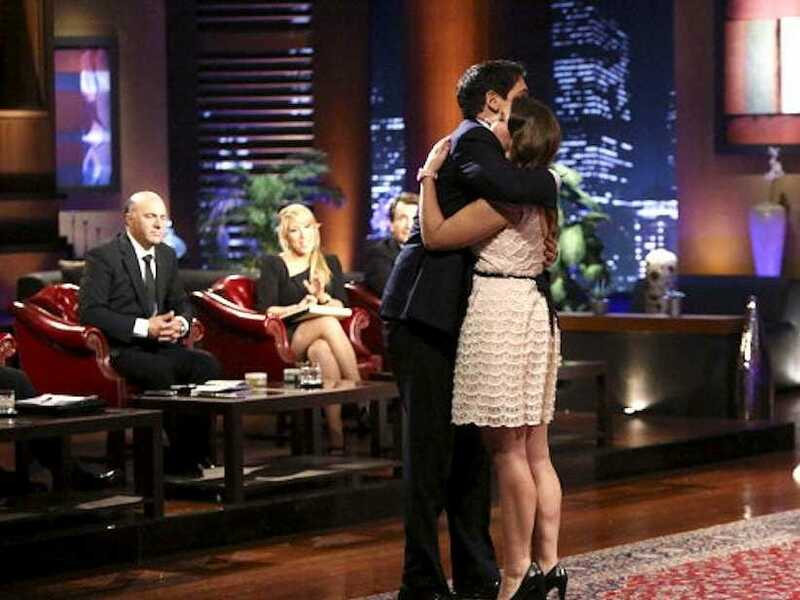 ‘Shark Tank’/ABCMark Cuban hugs Simple Sugar’s Lani Lazarri after making a deal. If you can make it onto ABC’s hit show “Shark Tank,” you’ll have an audience of around 10 million people to show your product. It’s why even entrepreneurs who lose out on a deal often report a notable uptick in sales following their appearance. We asked Carolyn Baumgarten, a writer for Andrew Figgins‘ fan blog In the Shark Tank, to identify the show’s greatest success stories based on sales after their “Shark Tank” appearances. 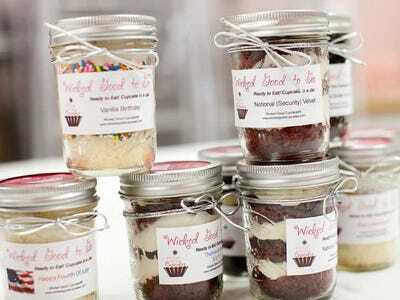 Danielle Vilagie and Tracey Noonan are a mother-daughter duo from Boston with a company that makes cupcakes in a jar. In season four, they made a deal with Kevin O'Leary in which he invested $US75,000 for royalties instead of equity. He made $US1 from every cupcake sold until he made his money back, and then began receiving 50 cents per cupcake sold. Since their appearance, Wicked Good Cupcakes has expanded to a new production facility, a couple of new locations, and are planning to bring in $US3 million in sales by the end of this year, WCVB Boston reports. 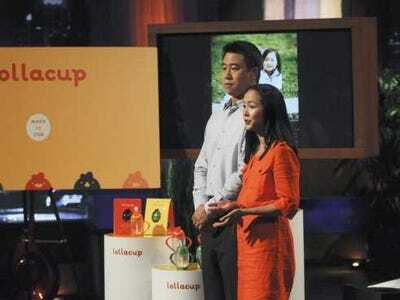 Husband and wife entrepreneurs Mark and Hanna Lim created the Lollacup as an improvement on the standard sippy cup for toddlers. Their product is BPA-free, spill-proof, and its straw is designed to catch every last drop of a drink. In season three, the Lims partnered with both Mark Cuban and Robert Herjavec for a $US100,000 deal in exchange for 40% equity. 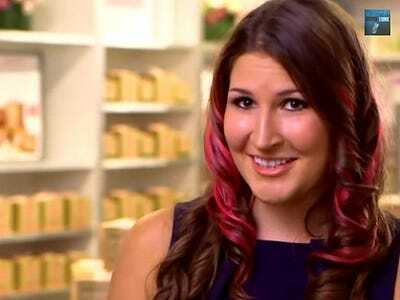 Lani Lazarri was just 18 years old when she entered the tank in season four to pitch her skincare company Simple Sugars. She ended up making a deal with Cuban for $US100,000 in return for 33% equity. Within just 24 hours of her episode's premiere, Lazarri's sales jumped from $US50,000 to $US220,000, and she hit $US1 million six weeks later. Today Simple Sugars products are in over 700 retail locations and ship internationally. This year, the company has already brought in over $US3 million in revenue. 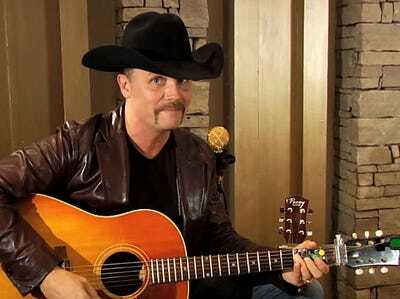 Travis Perry invented the ChordBuddy, a device that helps beginners form chords on a guitar, for his daughter. In season three, he made a deal with Herjavec for $US175,000 in return for 20% equity. Herjavec helped secure John Rich, of the popular country duo Big and Rich, as the company's spokesman, and this year the company is on track to bring in $US2 million in sales. 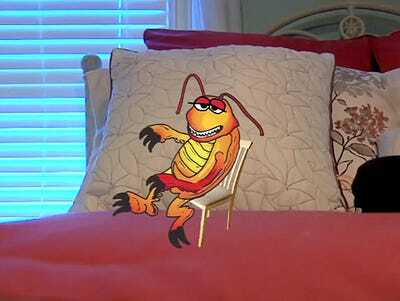 In season four, Maria Curcio and Veronica Periongo got all five Sharks to invest in their bedbug trap company Buggy Beds, which catch the insects before they have a chance to start an infestation. O'Leary, Herjavec, Cuban, Daymond John, and Barbara Corcoran went in on a $US250,000 plan for a 25% stake in the company. The Sharks got Buggy Beds into Home Depot and Burlington Coat Factory stores across the US, as well as international distribution deals in 23 countries. Within months of the episode's premiere, sales shot up to $US1.2 million. Sabin Lomac and Jim Tselikis, actual cousins from Maine, shipped lobster from their home state to their new home in California and started a high-end food truck named Cousins Maine Lobster, which became known for its lobster rolls. The cousins made a deal with Corcoran for $US55,000 in exchange for 15% of their company. Shortly after their episode premiered, the company hit $US700,000 in sales. Today, the company has exceeded $US3.5 million in total sales and have franchised their truck in the US. In season five, Cuban made the biggest 'Shark Tank' deal to date when he gave Melissa Carbone $US2 million for a 20% stake in her live horror entertainment company Ten Thirty One Productions. Carbone used the money to expand her business from California to a national audience, and Cuban secured her a ticket distribution contract with Live Nation. She expects to bring in $US3 million in sales this year. 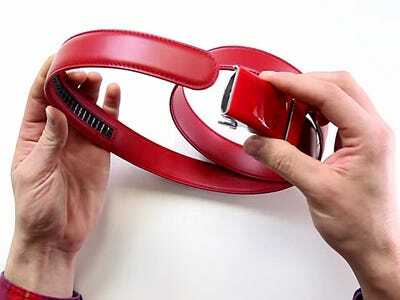 Nate Holzapfel entered the tank in season four with a simple premise: his company, Mission Belt Co., makes no-hole belts made from quality leather, and a portion of profits go to charity. John, the fashion expert among the Sharks, liked what he saw and made a deal for $US50,000 in return for 37.5% of the company. The night the episode premiered, Mission Belt sold $US180,000 and an additional $US1 million in products the following month. In season five, Charles Yim got another five-Shark deal for Breathometer, a portable breathalyzer that works with a smartphone. Cuban, O'Leary, John, Herjavec, and Lori Greiner got in on a $US650,000 deal for 30% of the company. Since his 'Shark Tank' appearance, Yim secured an additional $US2 million in funding, partnered with the prestigious Cleveland Clinic, and developed a more accurate and more portable product. Yim says Breathometer is on track to bring in $US10 million in sales by the end of this year. Husband and wife team Brian and Julie Whiteman came into the tank in season three to present Groovebook, a digital photo subscription service where for $US2.99 a month, users get a bound book of high-res photos they took with their smartphone. They made a deal with Cuban and O'Leary for $US150,000 in exchange for 80% of licensing profits. Not only did the Whitemans gain 50,000 subscribers shortly after the premiere of their episode, but this November, the publicly traded company Shutterfly bought GrooveBook for $US14.5 million. Rick Hopper dramatically fell in front of the judges in season three, which turned out to be a trick to demonstrate his product, a magnetic clip that secures your reading glasses in place somewhere on your person. Greiner, seeing how the product would be a huge hit with her QVC home shopping audience, made a bold deal. She would give Hopper $US150,000 for a whopping 65% of the company, with the assurance that she was uniquely positioned to make him a millionaire. Now, for the the biggest 'Shark Tank' success of them all: Scrub Daddy. Aaron Krause stepped into the tank in season four like a seasoned infomercial pitch man. His lemon-scented, smiley-shaped sponge is made from a material that makes it notably more durable, hygienic, and effective than the average sponge. John told us earlier this year that Krause's pitch was his favourite of the entire series -- but QVC queen Greiner was once again the perfect fit. She made a deal with Krause for $US200,000 in return for a 20% stake. When Krause pitched his company, he'd struggled to reach $US100,000 in sales over 18 months. Since 'Shark Tank,' Scrub Daddy has brought in well over $US18 million. 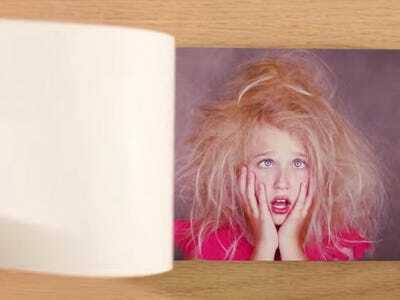 It's a staple product on QVC and appears in retail stores like Bed Bath & Beyond and Walmart. 'Who would have guessed that a simple sponge would be the greatest 'Shark Tank' success story of all time?' says In the Shark Tank's Baumgarten.